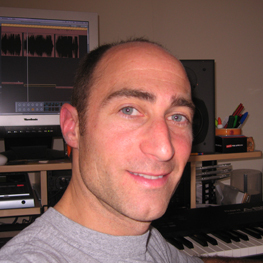 Steve Nathanson is a multi-faceted songwriter, composer and instrumentalist, whose catalog embraces a wide variety of genres including pop, alt rock, country, folk, children's music, and classical. He is also creator of the song-comparison site, Same That Tune, and has appeared on Sirius XM's Entertainment Weekly Channel, Newsmax's Midpoint, WBAZ, WRIV, among others, to discuss the site and the music industry at large. Born in Brooklyn, New York, Nathanson began his professional musical career as a drummer/percussionist, subsequently adding piano, guitar, bass and other instruments to his repertoire. He has created music for various media including Katie Couric's talk show "Katie," the Emmy Award-winning series "American Dreams," Mark Cosmetics, the Sundance Channel's "The Skinny" and "Selects," Eli Lilly's "Living & Learning" series, as well as recordings by Janet Speaks French (Seven Records) and None of the Above (Front 9 Records). A music industry veteran, Nathanson served as GM of Better Place Records (Whitney Houston's imprint with Elektra), and established a compilation series for Martha Stewart with Rhino Records, before launching Further Lane Music in 1999. Nathanson, who has lived in Paris, Los Angeles, Boston and New York, currently resides in Montclair, New Jersey.